Clubs are the heartbeat of football in this country. That is why The FA Charter Standard club programme, which raises standards and recognises and rewards quality, is so important. Every player at some stage of their career will play in a grassroots club. We have a shared responsibility to ensure that this experience is a positive one - whether you are six or 60. The FA Charter Standard Programme provides recognition that clubs are well run and sustainable, with child protection and safety paramount. It also recognises a club's commitment to coaching, player and coach development, and the raising of standards of behaviour in the game. 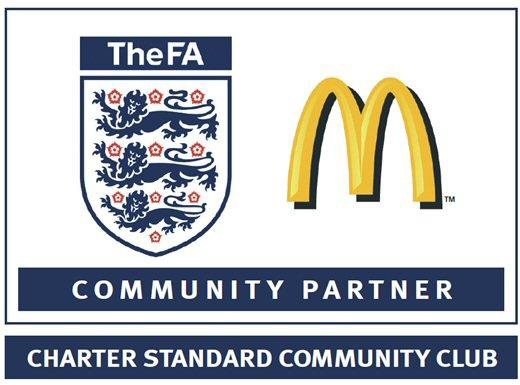 Thame Football Partnership is a Charter Standard Community Club and has two football sections within the Club, Thame United (Founded in 18883)and Thame Boys,Youth & Girls FC (Founded in 1983) it currently runs 26 sides from under 6's to adult age groups for all abilities. The Club have a comprehensive development plan and safeguarding children policy and procedures along with an equality policy, photographic policy and codes of conduct for players, coaches and officials and also for parents and carers. These documents are all available for download from the DOCUMENTS section of the website and we encourage you to make yourself aware of these policies. These two FA approved Officers of the club are there to discuss any Child Protection concerns or circumstances or events you consider to be poor practise. We as a Club have a duty of care to place the welfare of children before anything else, to make sure players are safe at all times and to help make football an enjoyable, safe and fulfilling activity for every child. If you need to contact either CWO details can be found on the Managers and Officials page. The club currently play in a variety of leagues and levels enabling "football for all" as part of the Clubs mission statement. If you think you have what it takes to play for a thriving club then come and join Thame Football Club.